At Jeanne Marie we are delighted to present this product available for flower delivery in Newcastle and surrounding areas. 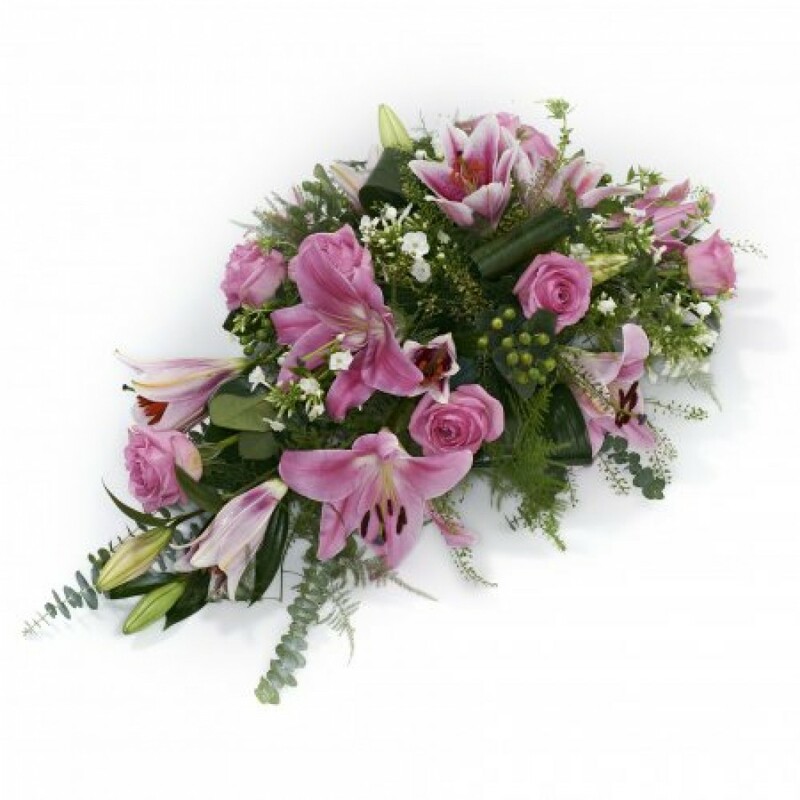 Single ended spray in oasis made in pink shades to include lillies and roses. Please advise of alternative colour scheme. This product requires 3 day notices for delivery.